Good news for all sneakerheads: AIO BOT team created the best servers for copping, that always give advantage no matter what release is that. AIO Servers are more than twice as fast as the other ones on the market, and of course much faster than your own computer. And by the way, they are closer to copsites, that guarantees better speed and connection. Good news for all sneakerheads: AIO BOT team created the best servers for copping, that always give advantage no matter what release is that. Why AIO Servers are the best on the market? The best speed for Footsites/Adidas/Supreme. Faster Internet connection (1 GB/s). Be the quickest person to cop desired item. Optimization. Unlike usual computer, all servers are created specially for such kind of releases. AIO Bot Preinstalled. 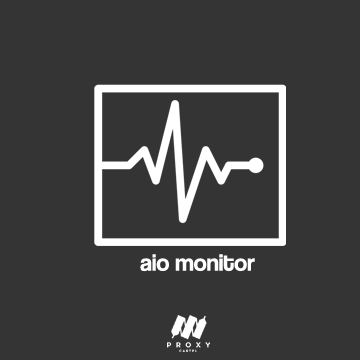 Do not worry about installation, AIO team made it up for you. You may ask why it is needed at all. The thing is that if you want to buy hyped Adidas/Yeezy sneakers, Supreme accessorizes or apparel and so on without extra fees, resellers and long expectations, you need to be the fastest person to act during release. AIO Servers are more than twice as fast as the other ones on the market, and of course much faster than your own computer. And by the way, they are closer to copsites, that guarantees better speed and connection. If everything is clear, try the most reliable servers in the game.